We at The Corporate Chiropractor Center for Health and Human Performance believe in the concept that strong people demonstrate human greatness. Therefore, we not only help people, we empower them to become stronger, because it is from strength that we heal. We recognize that every patient, every pain and every experience of that pain is different. Therefore we utilize state of the art, innovative chiropractic and neurochiropractic methods as well as nutritional supplements, progressive rehabilitation, neuromuscular massage, kinesiology and Applied Kinesiology to complete a life-balancing package that you expect and deserve. 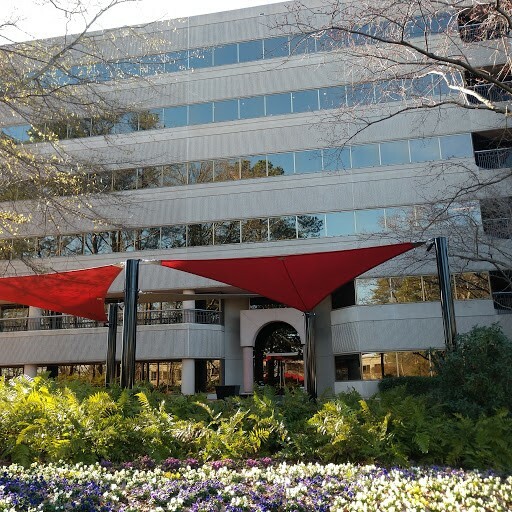 The Corporate Chiropractor Center for Health & Human Performance is Atlanta's most sought-after center for state-of-the-art chiropractic healthcare and sports performance. We are a team of chiropractors, physical therapists, kinesiologists, nutritionists, neuromuscular therapists and sports training and conditioning professionals that are here to help YOU to achieve YOUR desired results--faster! We know that selecting a health care professional for treatment is something that one should do with great care. Therefore, we invite you to tour our facilities, and receive a complimentary consultation with one of our Doctors of Chiropractic. Upon your initial consultation with one of our experienced doctors, you'll know that we're different. Your doctor will design a customized program to meet your specific needs, be they simple or more complex. We place the patient's well-being as our top priority. Each and every person who enters our Center for Health & Human Performance receives customized and individual guidance to achieve a more balanced body, mind, and spirit, regardless of their condition. Your program may include any or all of our health and human performance services, including chiropractic care, kinesiology, physical therapy and rehabilitation, strength and balance training, nutritional counseling, advanced neuromuscular body work, Pilates, and Pranic Healing. It may also include a referral to one of our allied health care providers if you need further assistance with your condition. As we embark on our 24th year of practice, The Corporate Chiropractor Center for Health & Human Performance continues to expand our expertise in health and human performance services, offering you more comprehensive professional treatment options and coaching than ever before. "I believe in the concept that strong people demonstrate human greatness. Therefore, we not only treat people, we empower them to become stronger. Because it is from strength that we heal!" I have been treated by Dr. June for 15 years and cannot recommend her highly enough. She has worked miracles on my back and was instrumental in fixing my wrist tendonitis. for a great person and wonderful doctor. She (Dr. June) is magic! Dr. June, Monica and the entire staff are awesome. If you are looking for a great chiropractor and team - The Corporate Chiropractor Health & Wellness Center is the Place! Best of the Best - Genuine, mindful, judicious! The Corporate Chiropractor Team are ALL consummate professionals! If you are looking for top notch care with a holistic no-nonsense approach to your well being, then this is the place for you. The center is a warm, welcoming and open environment - you matter - mind, body and soul - all of you. I'd been to a lot of chiropractors before Dr. June, and trust me when I say she is the best. Every appointment is customized to you. Dr. June really cares about your health & well being. I can't say enough good things!